We made it to Lynchburg, Tennessee specifically to come here. 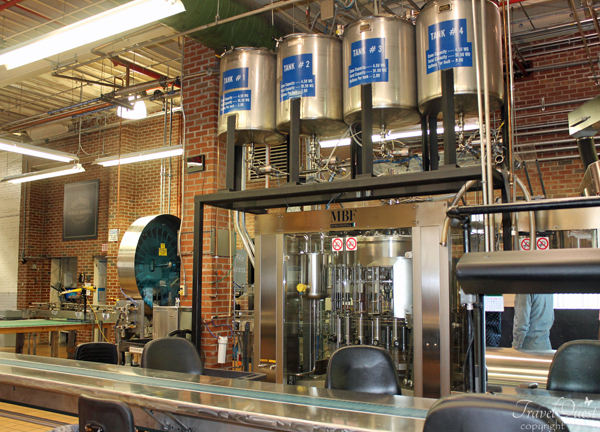 Even though I am not a massive fan of hard liquor, I must say, I personally enjoyed this tour. I was expecting like a thirty minute briefing on a free tour, but we were on the tour for almost two hours. 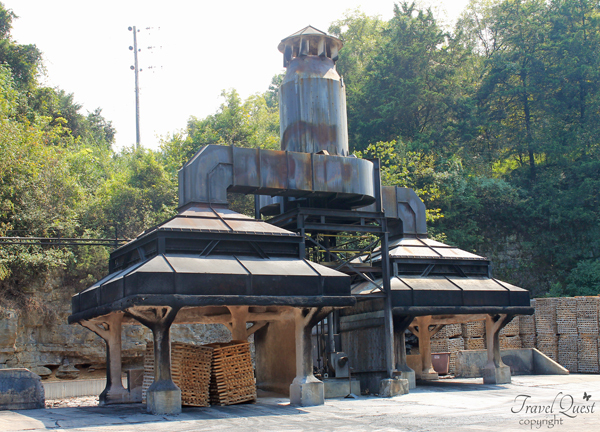 You go through the entire process of Jack Daniel's whiskey being made, from the burning of the charcoal, to the barreling of the whiskey. It's amazing to see how it's made. Moving on down you get to tour the different buildings that have the mash and you can even smell the "white lightning" that will float your way. 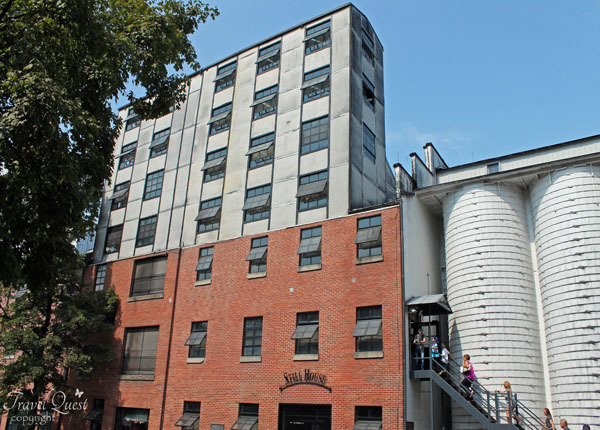 You'll get to see the barrel making & then tour the buildings that hold the barrels that are aging. Some of the tour allows photos & some don't that areas where the magic happens. At the end you can have some free lemonade. 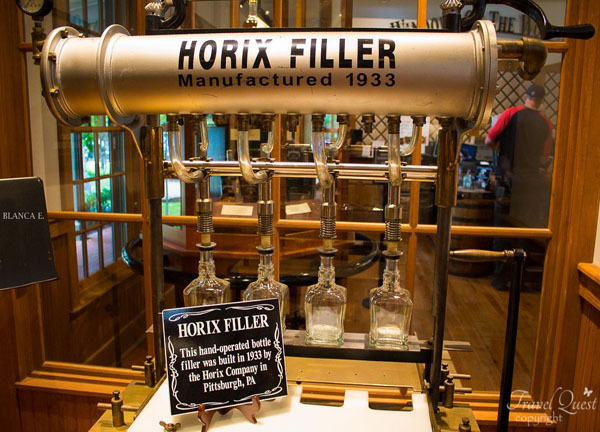 Technically it's not legal to any store in the county to sell liquor but you have an option to buy some whiskey they have for sale at the distillery. At the end of the tour, we bought a bottle of Single Barrel Jack, a whiskey glass and fridge magnet. It's so worth the money to commemorate this experience. I will talk about the history and show more photos on my next post. 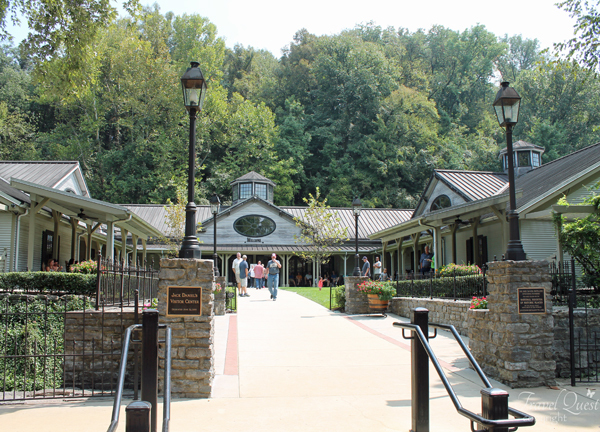 The Jack Daniels distillery is the first/oldest distillery in all. 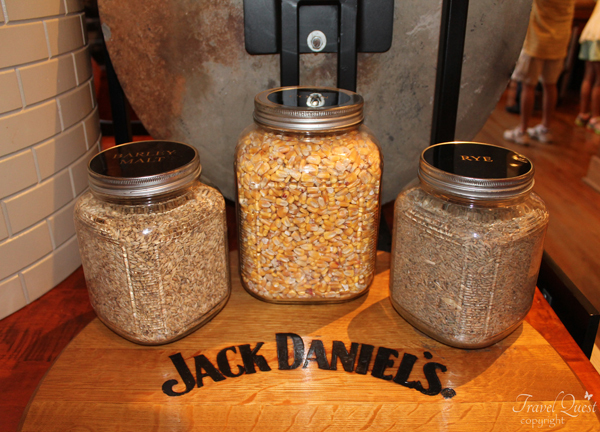 Three types of grain used to make Jack Daniel's Tennessee Whiskey - corn, rye and malted barley. 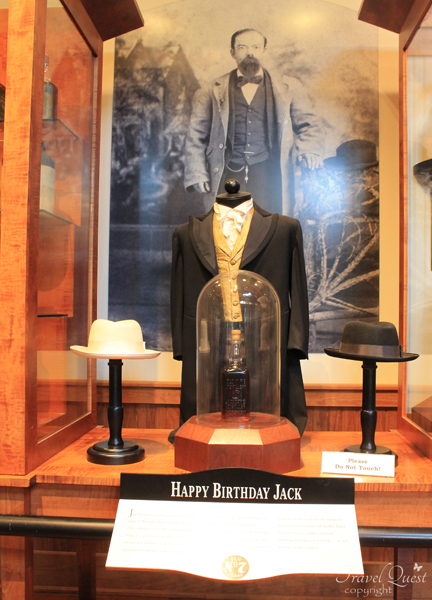 The three are combined according to ratios that were developed by Jack himself many years ago. 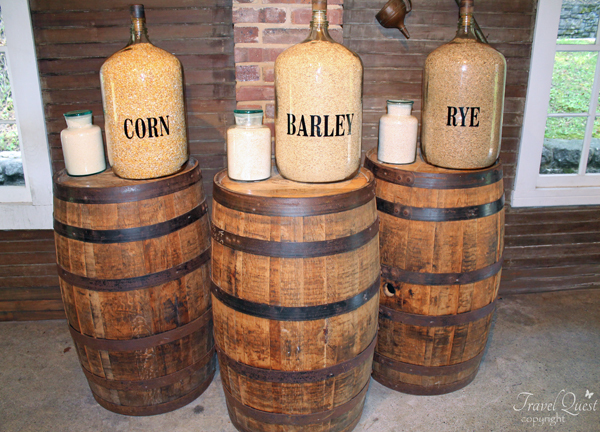 Milling & Mashing: After being ground, the grain is mixed with water taken from the nearby Cave Spring. 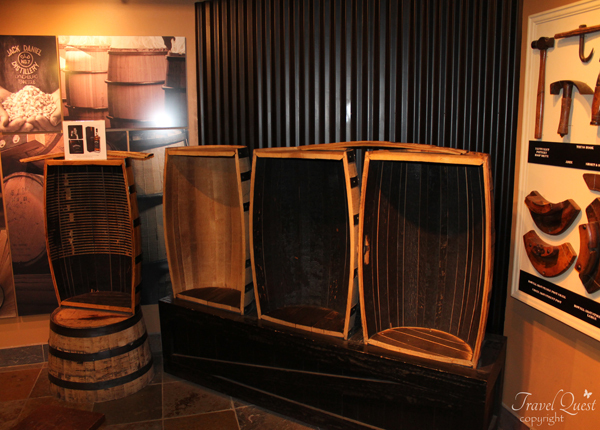 In addition to the water a little spent stillage from previous whiskey batch is added. The mixture of grain water, called mash is cooked over high heat in the mash cooker. 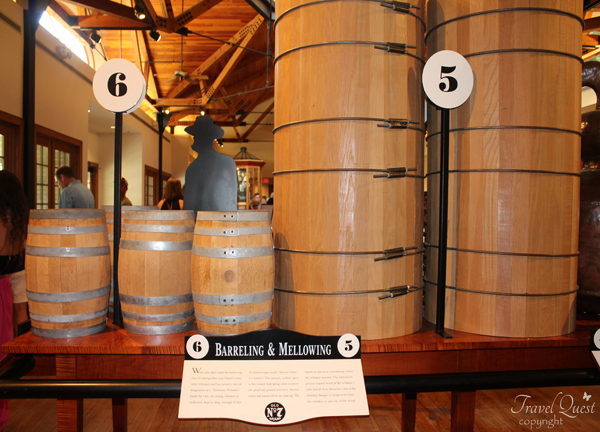 Barreling & Mellowing: The barrels are placed in a barrel house where the whiskey matures. 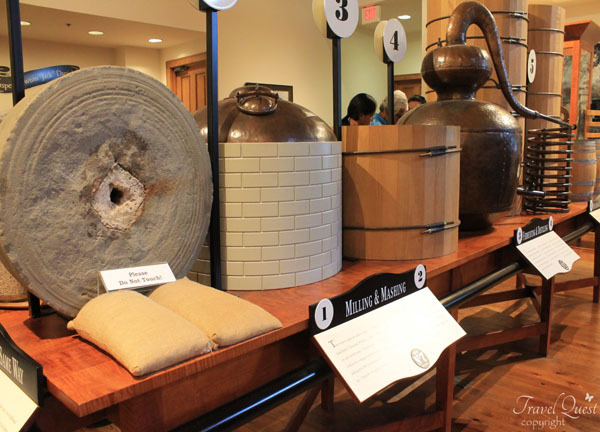 The maturation process imparts much of the whiskey's taste and all of its distinctive color as the seasonal changes in temperature force the whiskey in and out of the world. 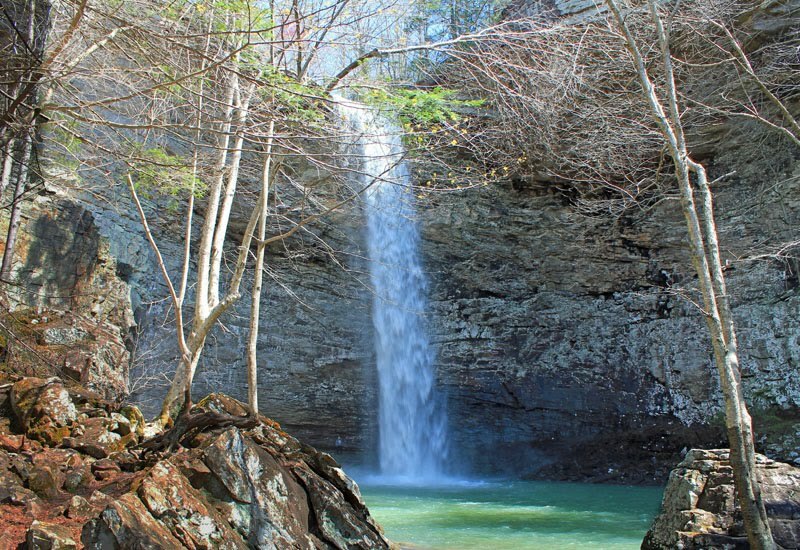 This natural spring comes right out of the Tennessee mountains provides all the water needed to make their product. 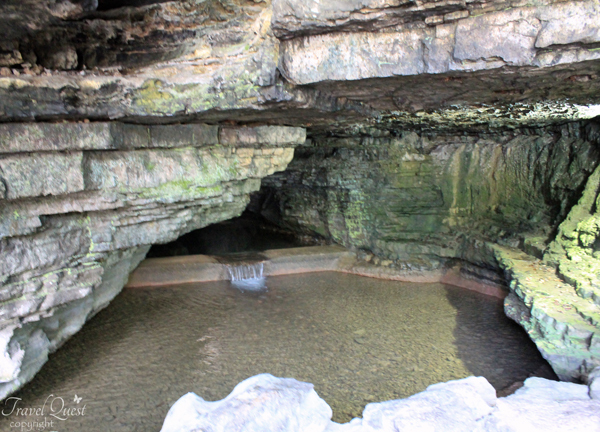 The limestone surrounding the water as it flows acts as a sponge that absorbs iron. So the water coming out of the spring is completely iron-free, a very important and unique element in this whiskey. 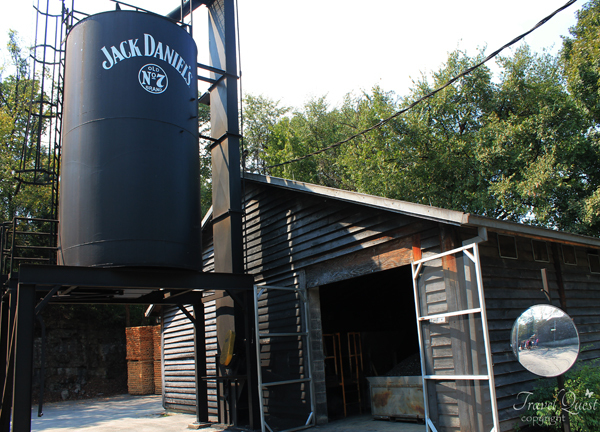 My friends who love drinking Jack Daniels would probably love to see this! 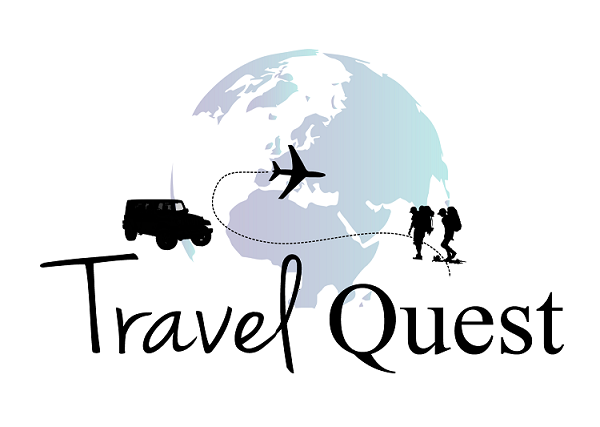 I have to say this would be an interesting place to visit, especially when you are a fanatic of beers just to learn more about it. 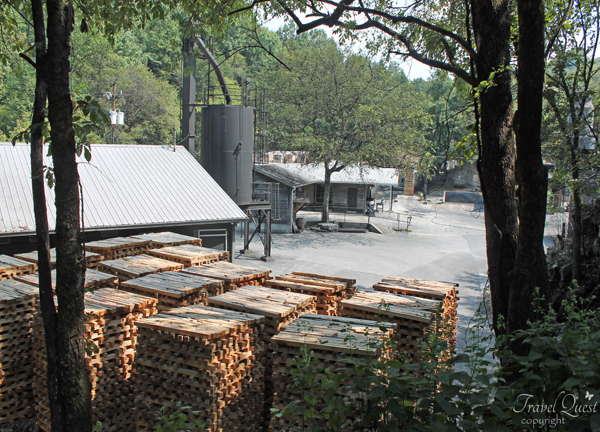 It really takes time and effort to make one of the most popular liquor in the world. I guess that's why it's well appreciated. My father-in-law would enjoy this kind of place. 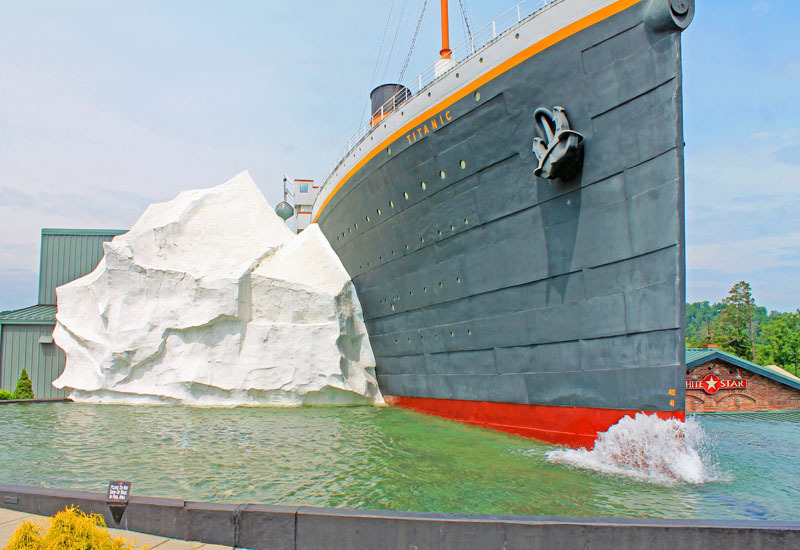 I would love to go there just for th sake of knowing how they make it. I always heard this whiskey. I bet it taste good if you are a fan of. 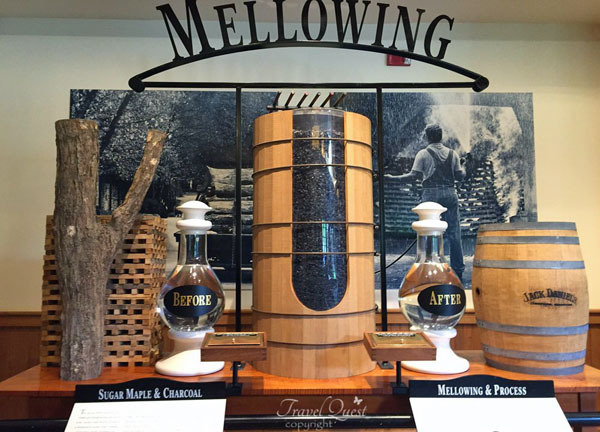 What beautiful place to check out and learn how this famous whisky is made of. Ah, dyan pala ginagawa yung all-time fave ko. Even if I am not into alcohol these days, masarap to see how they make the wine.